With Spring finally here, and Summer just around the corner, it's time to start thinking about achieving that much desired beachy hair - Which is what everyone lusts after as soon as the sun shines, right?! 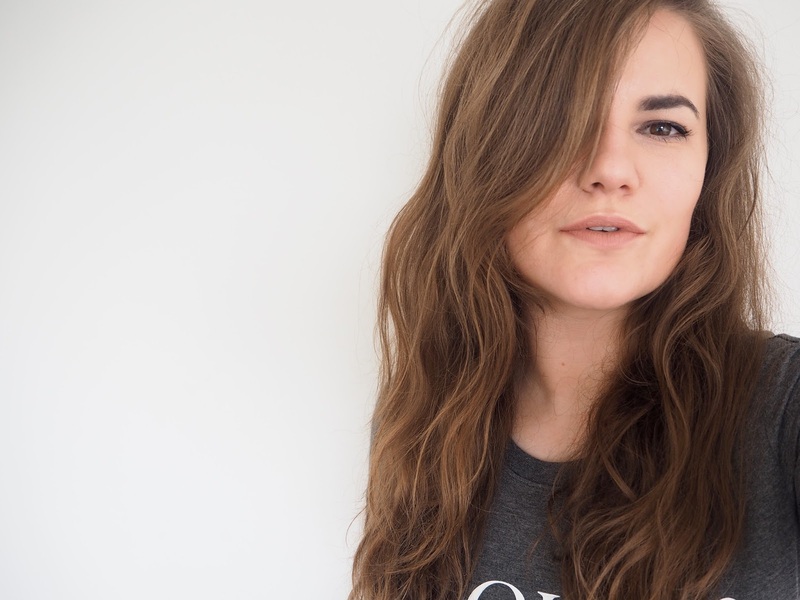 For me, I've recently had my long hair chopped quite drastically, so the steps I have been using for years and gotten so used to don't necessarily work for me any more... Getting that perfectly tousled look to the hair is much harder than it seems. Having a new hair style has led me to trying some new products and new techniques for achieving certain styles, and I have to say I'm petty happy with my finds so far. 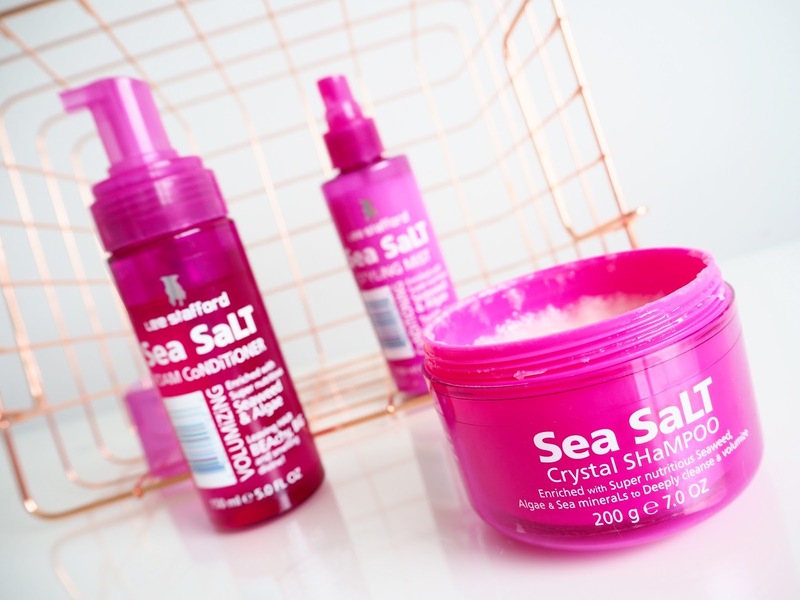 The new Lee Stafford Sea Salt hair products are a collection developed by the award winning hairdresser to help leave you with subtle texture and big volume - a great start to nailing that beachy look we all desire. All of the products are enriched with nutritious sea ingredients seaweed and algae which help to nourish and strengthen the hair. Seaweed contains fatty acids, vitamins and minerals that your hair will drink up and really benefit from when it comes to improving the strength of the hair and encouraging hair to thicken up. Algae contains antioxidants which repair and prevent split ends, bulk up the hair so that any damaged hair is less obvious and strengthen the hair which results in promoting hair growth. 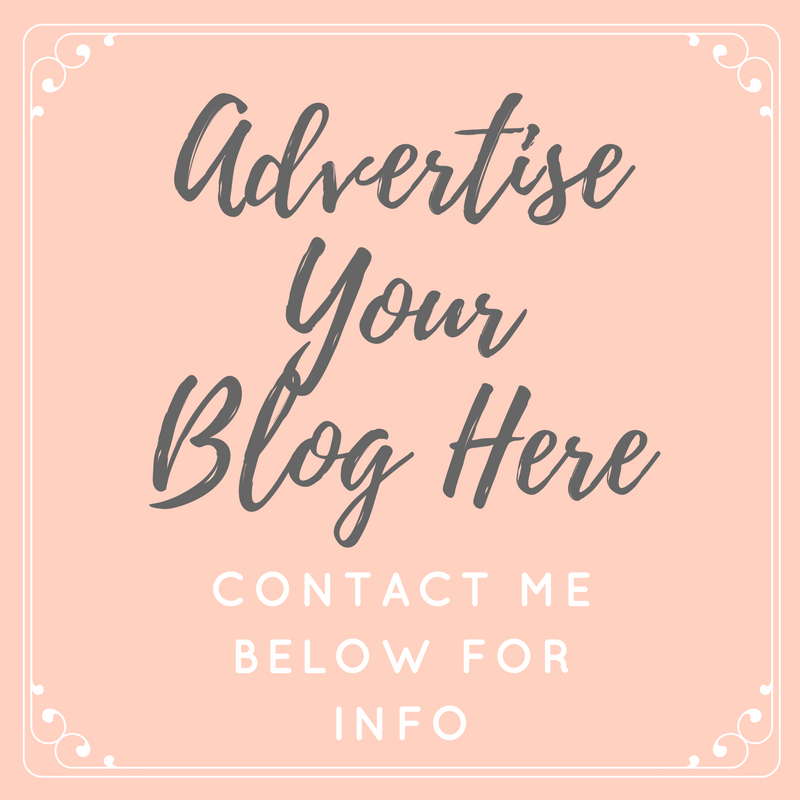 Sea Salt Crystal Shampoo: This shampoo is unlike any other I have used as it contains fairly large, visible sea salt crystals which work to deep cleanse the scalp by exfoliating the skin as you massage the shampoo into your hair. At first I was a little dubious about this, but have to say it's a really satisfying and relaxing feeling to use this to massage the scalp. The crystals also help to add body and texture to the hair, which is exactly what you need to begin the process of achieving those gorgeous beachy waves. The only downside to this is that you do need quite a lot of product to get a thorough wash of your hair as it doesn't lather up much at all, however once washed it leaves your hair feeling squeaky clean. Sea Salt Foam Conditioner: The conditioner to use alongside the shampoo is another completely different formula again. This time being a liquid which turns to a thick foam as you pump it from the bottle, which then sinks into the hair as you apply. The smell of this is beautiful and the conditioner works by nourishing and conditioning the hair from the inside, out. It's very lightweight and only a small amount is needed, meaning that you're never weighing down the hair or compromising on the volume with this product. Sea Salt Conditioning Styling Mist: The styling product from the range is just as good as the previous products. Everyone knows that to achieve natural beach waves, you need to recreate that salty sea air, and this is the way to do it. I have tried a lot of salt sprays over the years, and there have been some I've loved and some I've hated. This is definitely one of the ones I would recommend, mainly due to the fact that it adds texture to the hair, without leaving it feeling and looking crispy - my pet peeve! I apply this to damp hair before styling, and find that it plumps my hair, adds volume and shape and also tames my dreaded flyaways. Are you going to be going for that beachy look this season? After trying these products, I'm desperate to try more from Lee Stafford... Is there anything you'd recommend for me next?! These look so good. I always do beachy hair on holiday as its so quick and there is no way I could stand to be under the hairdry heat for that long!